New York State has the largest number of residents of Italian origin in the United States. In addition, New York City can boast the same status. Further still, Italian Americans comprise 37 percent of Staten Island’s population, according to the 2009 American Community Survey, supposedly the largest percentage of locals in a county in the United States. A triple play, in a sense, that corresponds to yet another Italian/American triad. 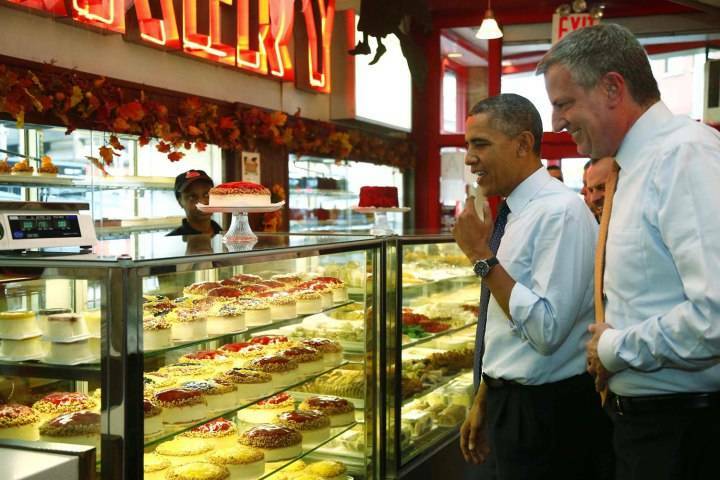 The election of Bill de Blasio as mayor of New York City completes what one can call an Italian/American trifecta. He is the third of Italian/American elected officials in the state of New York who hold significant positions of power, authority, and influence. Andrew Cuomo is our governor; Tom Di Napoli is our comptroller; and, now, as of January 1, Bill de Blasio will be our mayor. Of course, as Italian Americans we cannot — and indeed, should not — expect special treatment. But what we can expect, for sure, is that our Italian heritage is well represented at both the state and local levels of government in three of the most powerful positions in the state of New York. All three individuals have proven to be most able politicos who have and continue to discharge their duties for the benefit of all. There may be those who do not always agree with their philosophies, but we must all recognize their dedication to propriety. This much, for sure, is a net positive. What we can thus hope for is a more articulated sense of their Italian-ness precisely because they are the upstanding individuals they have proven to be. Let us indeed hope that in October of 2014, during the month of Italian Heritage and Culture, we have a series of events that include our Italian/American leaders. 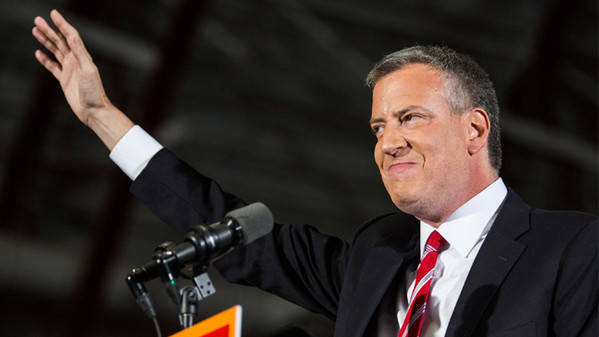 With regard to Bill de Blasio and his latest victory, we can hope for something further. As we might look to him for his progressive politics, we can also look to him and his family as that model of a future engagement with regard to ethnic politics and, more important, with regard to a truly transgressive ethnic combinatio nova that transcends not only national origin but indeed race. Bill de Blasio himself is a child of mixed raciality if indeed we consider Italians as part of a non-white category that is olive based, as the poet Rose Romano and others have steadfastly contended. With his family of Chirlane, Dante, and Chiara, de Blasio has taken the combinatio nova one step further in the melding of olive with black, offering up to society what portends to be one of the newer forms of the American family of the future, one that is truly a rainbow reflection of US society. But I would like to think that the de Blasios who will inhabit Gracie Mansion constitute a model in other ways and for other people. In other ways in so far as they demonstrate that the so-called power positions of a place like New York City can indeed be held not only by the white or the black, but indeed even by those of the combinatio nova. For other people, precisely because of de Blasio’s Italian heritage, he and his family can be a model for those in Italy who continue to look to the US; for in spite of what some Italians might think, Italy is no longer the monochromatic country they believe it to be. With its new immigration of the past three decades for sure, Italy is more than ripe for it own wave of combinatio nova.